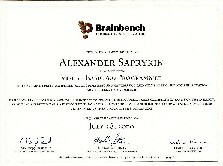 Июль 2000 Certified Visual C Programmer by BrainBench. 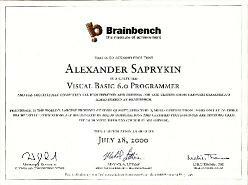 Июль 2000 Certified Visual Basic 6.0 Programmer by BrainBench. 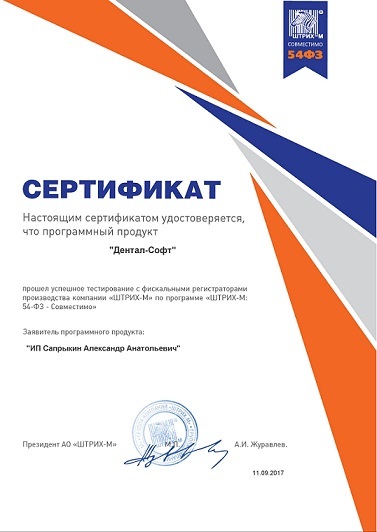 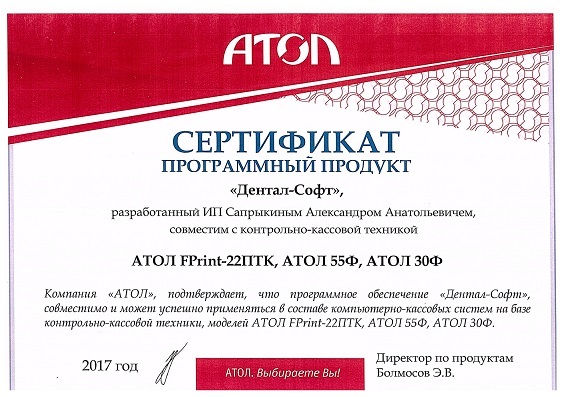 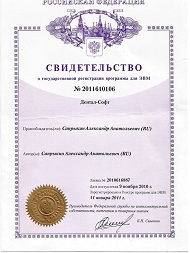 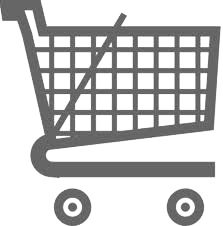 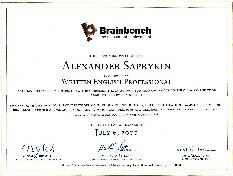 Июль 2000 Certified Written English by BrainBench. 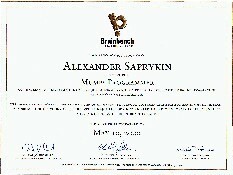 Май 2000 Certified Mumps Programmer by BrainBench.